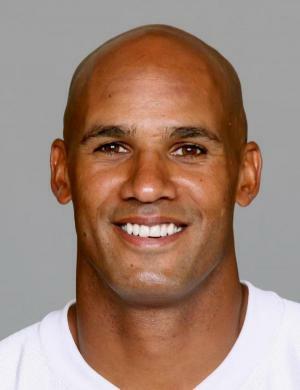 Jayson Paul Taylor was born on 1 September 1974, in Pittsburgh, Pennsylvania USA, and is a retired professional American Football player, best known to have played as a linebacker and defensive end for the National Football League (NFL) team, the Miami Dolphins. He had a successful 15 year professional football career, and all of his efforts have helped put his net worth to where it is today. How rich is Jayson Taylor? As of late-2016, sources estimate a net worth that is at $25 million, mostly earned through a successful career in professional football. He holds several honors in the NFL and also had a successful run in college football. He was selected six times for the Pro Bowl, but all of these achievements helped ensure the position of his wealth. Taylor attended Woodland Hills High School, and during his time there played for the school’s football team. After matriculating, he attended the University of Akron and became a four-year letterman. He started for the Akron Zips football team for three years, and became a two time first-team All-Mid-American Conference selection. He also played for the Akron Zips basketball team as a starter. During his time in college, he studied political science and criminal justice. Jayson joined the 1997 NFL Draft, and was selected during the third round by the Miami Dolphins, and was given a four-year $1.3 million contract which started to boost his net worth. As he played for Miami, he started gaining popularity as one of the best defensive ends in the league. He earned a starter position during his rookie season and continued to perform well over the next four years. In 2000, Taylor’s contract ended and he became a restricted free agent. He received a one-year tender worth $1.027 million from the Dolphins which would continue to increase his net worth. His performance that season would earn him selection to the Pro Bowl, and an eventual contract extension worth $42 million spanning six years. He continued his strong performances in 2002 when he returned to the Pro Bowl as a consensus All-Pro Selection. In 2004, in order to free up salary cap space, Miami signed a new deal with Jayson which extended his contract to 2009. Two years later, he was named NFL Defensive Player of the Year thanks to one of his best years in the NFL. He was also named a consensus All-Pro for the second time. However, in 2008 Taylor was traded to the Washington Redskins but eventually refused to play because he wanted to be closer to his family. He returned to the Dolphins the following season and set an NFL record for most fumble returns. After his contract ended once again, he signed with the New York Jets on a contract worth $13 million for two years. However after a mediocre season, he was released, and signed once again by the Dolphins for a season before finally announcing his retirement. After his playing years, Jayson signed with ESPN as an analyst, and became part of various programs such as “Monday NFL Countdown”, “NFL32”, and “NFL Live”. For his personal life, it is known that Jayson married Katina in 2001, and they have three children; their marriage ended in divorce in 2006. Aside from this, he has also created the Jayson Taylor Foundation which aims to help children in South Florida. The Foundation has launched numerous programs including “The Jayson Taylor Children’s Learning Center” which provides college scholarships and the “Jayson Taylor Reading Room” which aims to improve literacy. Jayson has also partnered with Invicta Watch Group for a limited edition watch design and he also participated in the sixth season of “Dancing with the Stars”. 1 Inducted into the Pro Football Hall of Fame in 2017. 2 Professional football player with the Miami Dolphins (1997-2007; 2009; 2011), Washington Redskins (2008), and New York Jets (2010). 3 Brother-in-law of Zach Thomas.